Er. Ravi Chandra Koirala, Sr. Lecturer and Deputy Head of Department of Department of Computer and Electronics Engineering participated in Microsoft Azure Day on 26 January, 2017 at Radisson Hotel, Lazimpat. 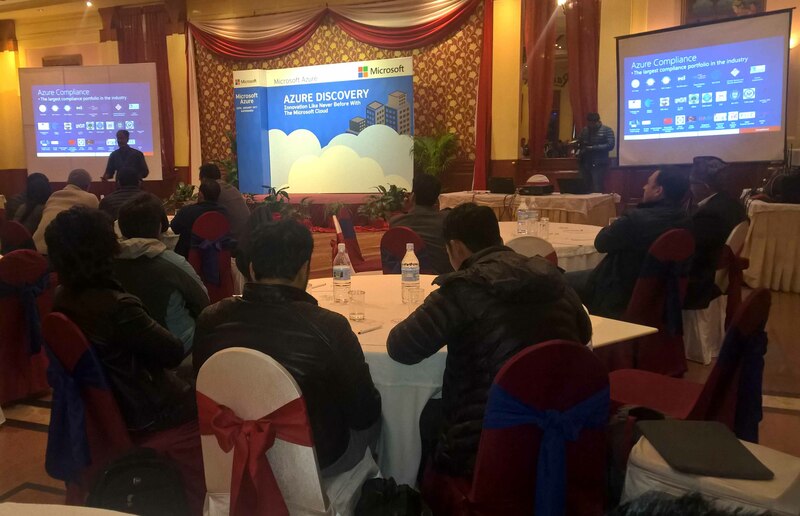 The event was focused on how any developer or IT professional can be productive with Azure. Mr. Akib Khan from Microsoft Bangladesh talked about the integrated tools, pre-built templates, and managed services which make it easier and faster to build and manage enterprise, mobile, web, and Internet of Things (IoT) apps, using skills they already have and technologies they already know.